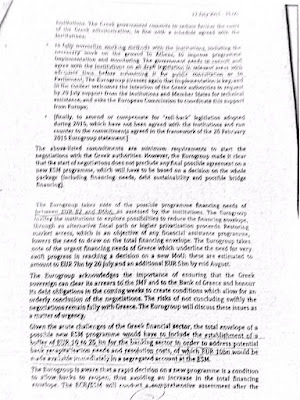 Per latest reports, Eurogroup estimates Greek funding needs at EUR82-86 billion - a far cry from EUR53.5 billion requested from ESM. 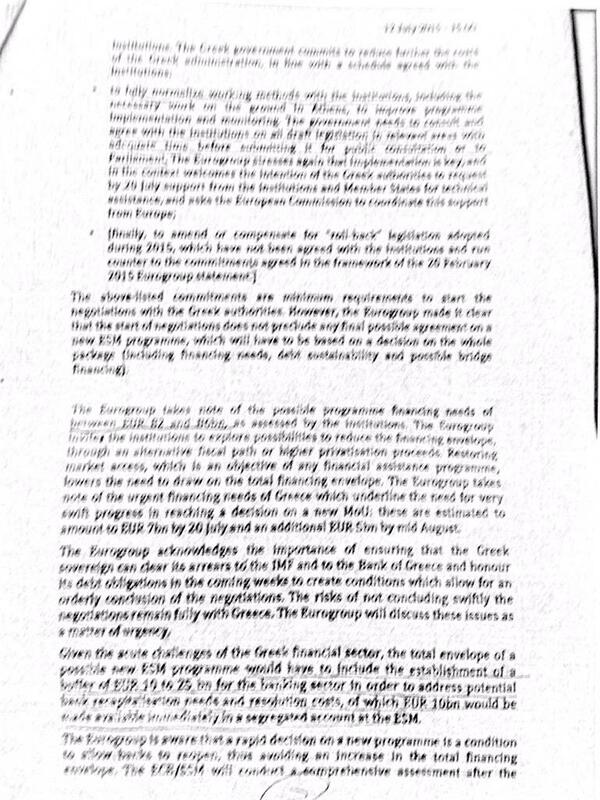 EUR10-25 billion needed for banking sector (because bailing out European states must always involve bailing out banks). 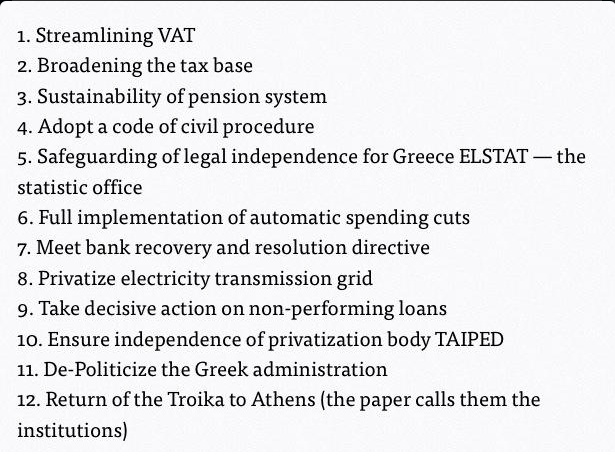 Measures 5 and 10 are pro-forma. 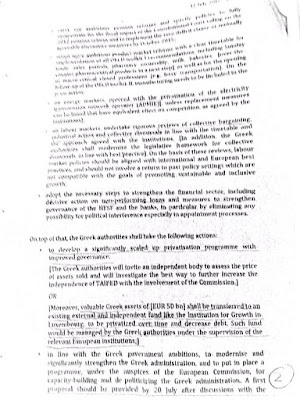 Can anyone seriously expect any Government addressing the issues of banks recapitalisation and recovery, plus the issue of non-performing loans within a span of 3 days? 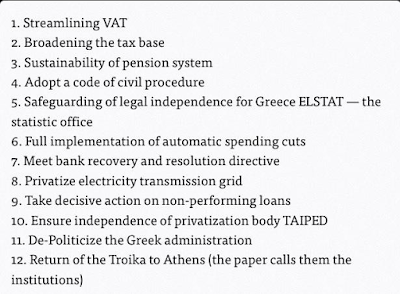 Besides all of this, the key point is that the 12 measures outlined effectively fully and comprehensively pushes Greece into worse adjustments package than anything put forward prior to the Greek referendum. 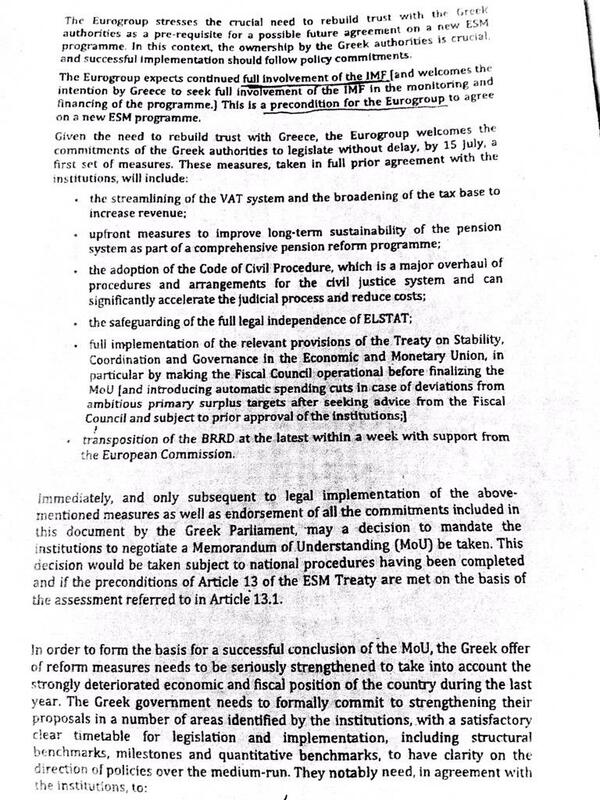 And all this achieves is... brings Greece back comes Wednesday to face more negotiations over additional measures. 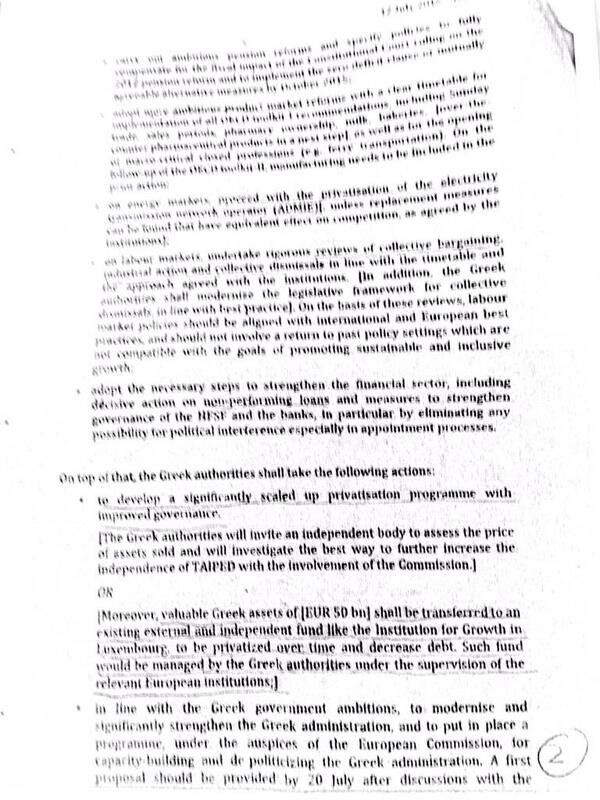 Items that were not agreed upon are in the brackets. These include: nominal debt haircuts. 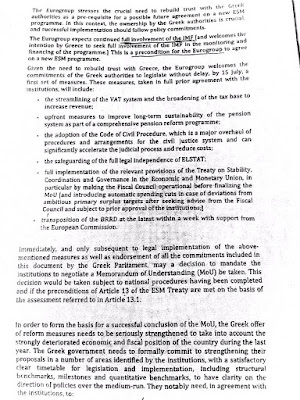 There is also a proposed escrow 'company' to hold EUR50 billion of Greek assets as collateral (titles to state properties) in Luxembourg (which is neither enforceable, nor serious). 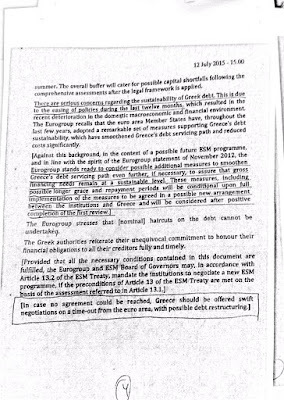 In simple terms, Greek choice is now stark and simple: accept complete control over the economy and assets from Brussels/Frankfurt or 'temporary' Grexit for 5 years with possible haircuts to debt. 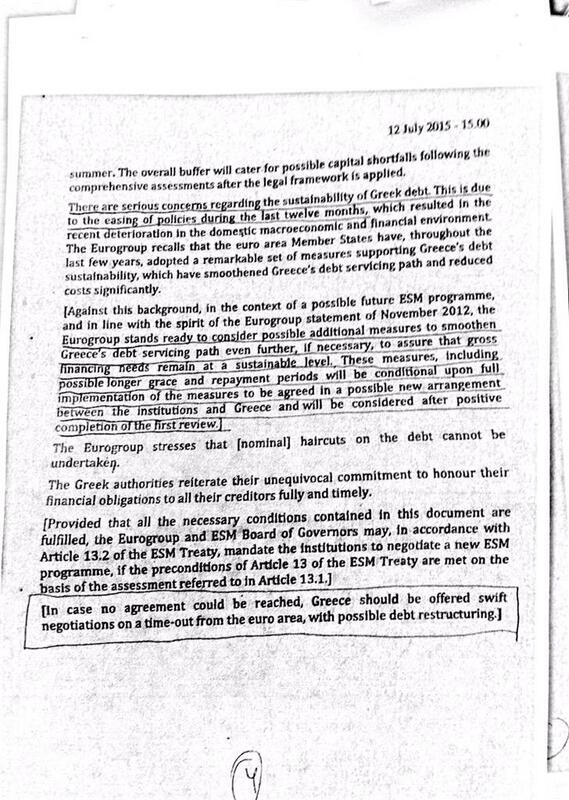 Germany et al just accelerated the crisis... next move: Greece.